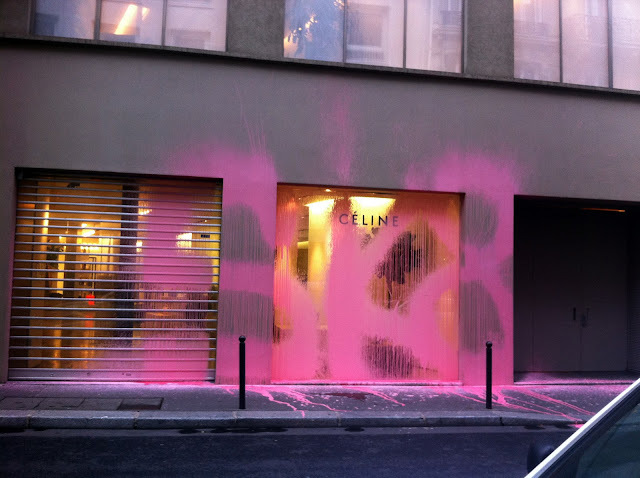 Kidult has struck again, and this time its victim is Celine Paris. The graffiti artist is famous, but more to some, infamous, for displaying his art with many tags on high fashion labels. This time round he sprayed the "word" SK8 across the shop front. The debate of what he is trying to covey with the word has baffled many but some interpretations seem to be coherent. 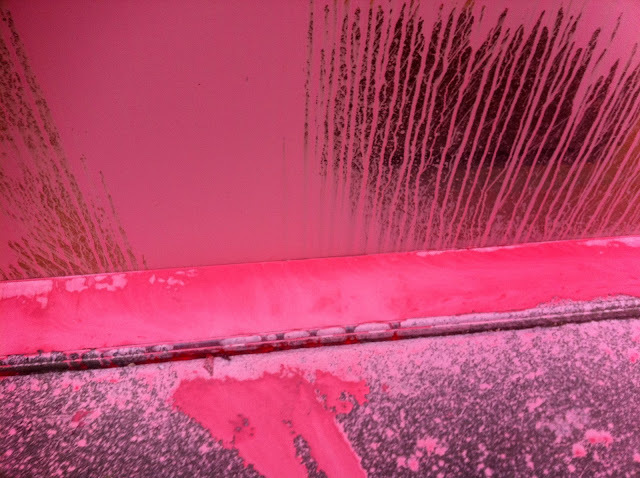 The word SK8 refers to the brand's spring 2011 campaign which features Daria Werbowy's clutching a skate board, the pink paint reflects the pink plastic wrap in the background of the ads. Below is what people believe his inspiration came from. Could graffiti be called art? I am not going to attempt to answer that question, I'll leave that upto you. 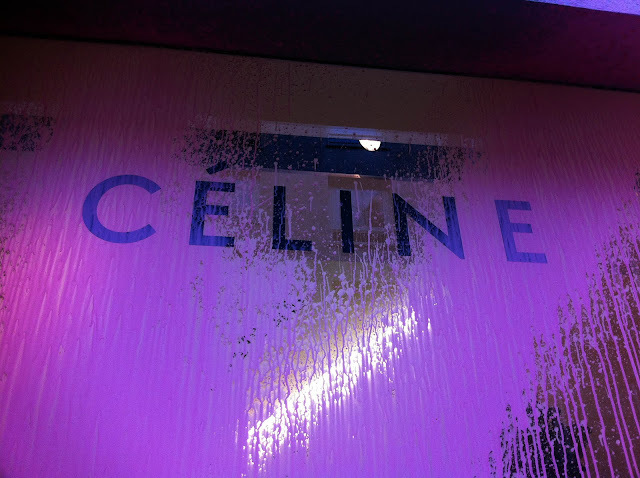 However I think that what Kidult has done to Celine's shop front could be called an improvement, at least the shop stands out and it just got extra publicity for nothing! If you are interested in the kidult movement, check out his interview. In my opinion graffiti is also a part of art. Its beautiful just..sometimes.. Not every graffiti you see is great. I'm not sure graffiti is art when it creates problem to people didn't ask for it. I think some graffiti is just pure talent. They depict such a way of life. Thanks for visiting my blog. Let me know whether you like to follow each other. I wanted to stop by and say thank you for the feedback on my post, I actually featured those photographs for a reason - the exact one you pointed out. wow lovely photos! graffiti is an amazing piece of art. Absolutely love the colour of that paint. Great blog by the way, love the style. kidult likes to vandalize stores that are skateboarding posers. for example, there's no way daria knows how to skateboard. it's not art, it's vandalism. not only is it ugly, but it defaces commercial property. I've seen enough graffiti that are truly works of art, with thought, precision, and mastery of the skill. maybe kidult embodies these qualities too, but he certainly hasn't shown it by spray painting a huge word on store fronts. interesting post though.